Armenian carrier Air Armenia, which suspended flights in October and failed to relaunch operations, was declared bankrupt, according to Armenian daily, Jogovurd. General jurisdiction court in Yerevan carried out the decision based on HSBC Armenia’s claim. Air Armenia, however, intends to appeal the court’s decision, and has a chance to win the case if it presents a viable recovery plan. The restructuring program has already been designed under supervision of the airline’s 49% stakeholder, East Prospect Fund, a Ukrainian investment trust (registered in the offshore zone of British Virginia Islands). According to open sources, this organization topped the airline’s balance with $68.6 million. Air Armenia’s gross debt exceeds $15 million, ArmInfo newswire reports. Kazaryan doubts that East Prospect Fund could provide financial relief , because of ongoing crisis in Ukraine. However, Air Armenia’s general director and 51% stake owner, Arsen Avetisyan has emphasized several times that the carrier’s financial struggles would be resolved, and operations resumed, in the nearest future. 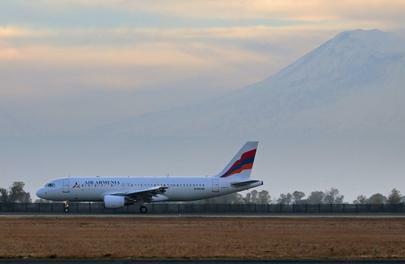 Back in January Air Armenia even planned to launch Asian destinations, which would require larger aircraft. Air Armenia is the second of the country’s operators, which was declared bankrupt. Two years ago Armavia met its fate, after which Air Armenia, formerly a cargo carrier, launched passenger operations. In earlier interviews to mass media Avetisyan complained about the fierce competition. The Armenian operator could not count on any preferences on its own market, because of the open sky regime active in Armenia. Still earlier, Chairman of economic and budget commission at the country’s community council, Vazgen Safaryan asserted, that the government is interested in having commercial passenger airlines in Armenia, and promised to facilitate creation of two or three operators.